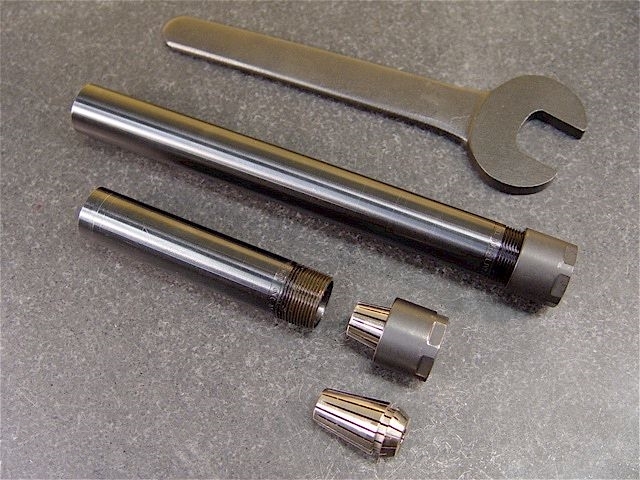 Center-cutting (left) & non-center cutting (right) type end mills. 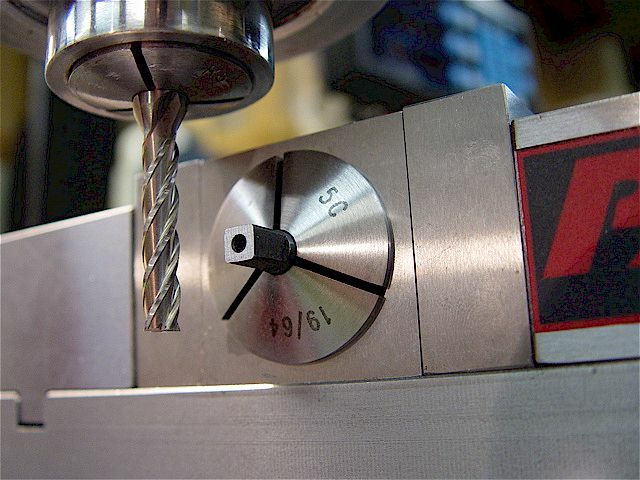 Center-cutting end mills can make plunge cuts. resharpened easier. 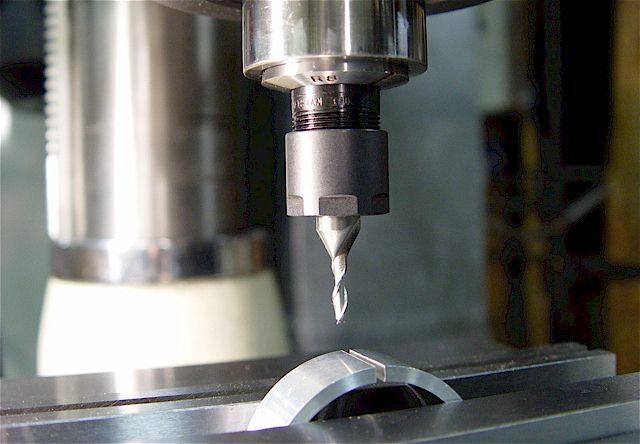 Both types of end mills can make flat surface conventional or climb cuts using the side flutes. 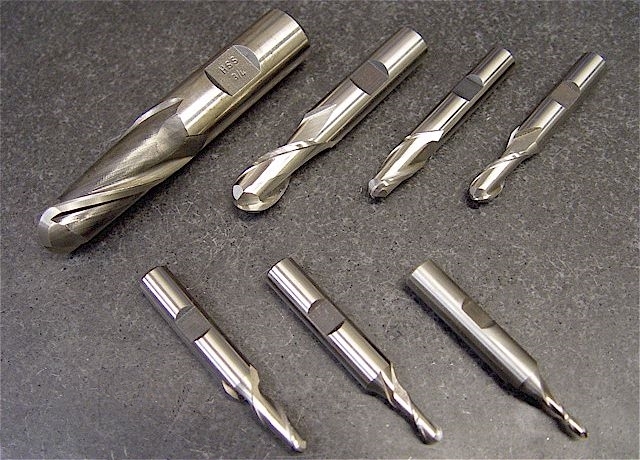 TiN-coated, 2 & 4 flute, center-cutting end mill set. 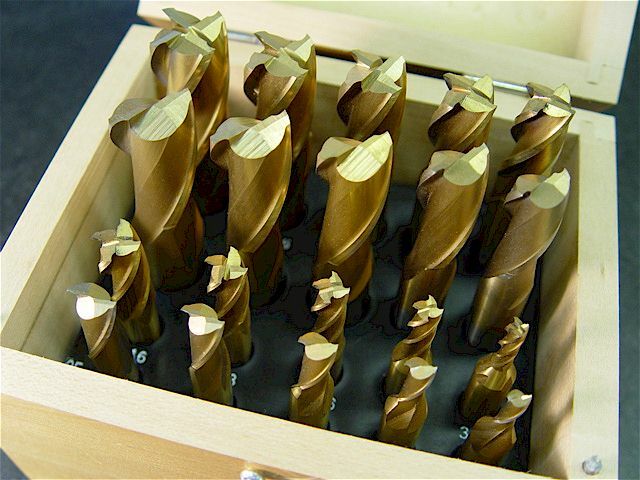 45 deg & 60 deg dove-tail & bevel cutters, edge finders, 4-flute end mills for steel (regular & roughing). Had to double the end mill storage capacity of this stand. I have no rusting issues using wooden stands. 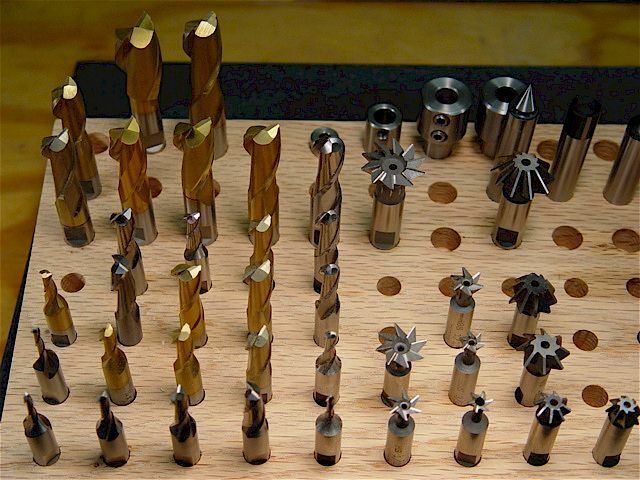 Small diameter carbide drills (left) & small end mills. 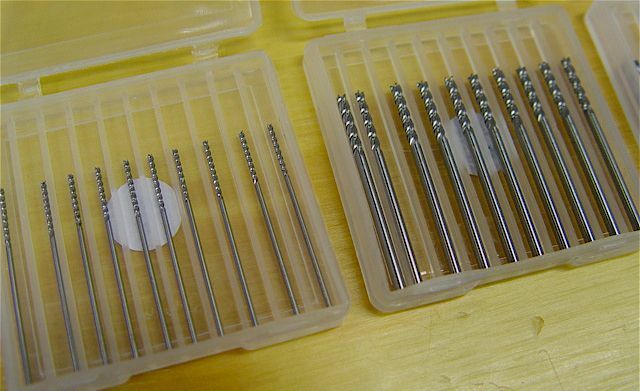 Assorted two, three, & four flute solid carbide end mills sizes 3/8" through 1/32". 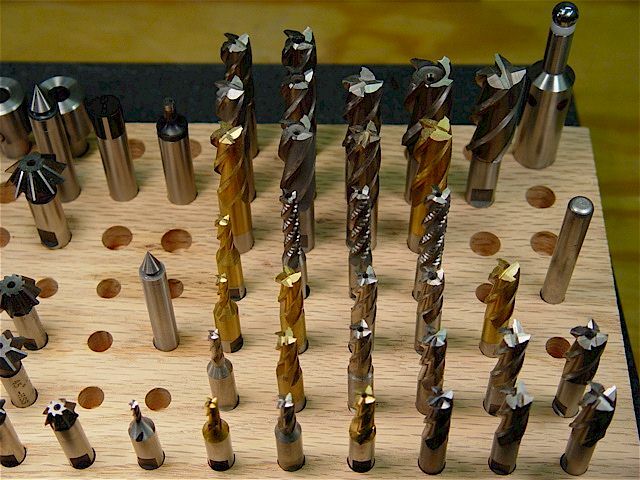 1-1/4", 1", 3/4", 5/8", 5/8", 1/2", 3/8", & 3/8". 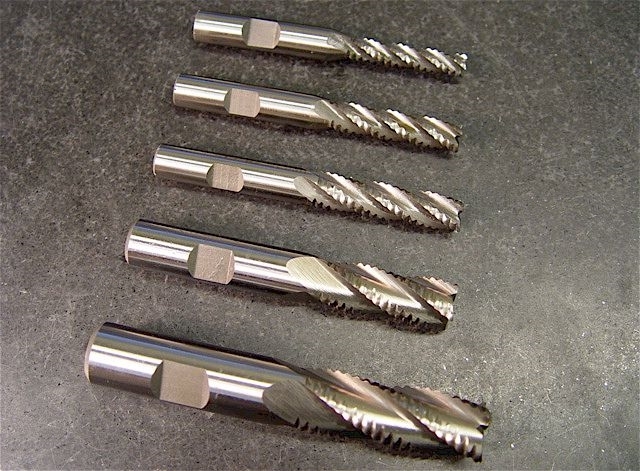 The three (right) end mills are M42-8%Co alloy with extra long cutting flutes. 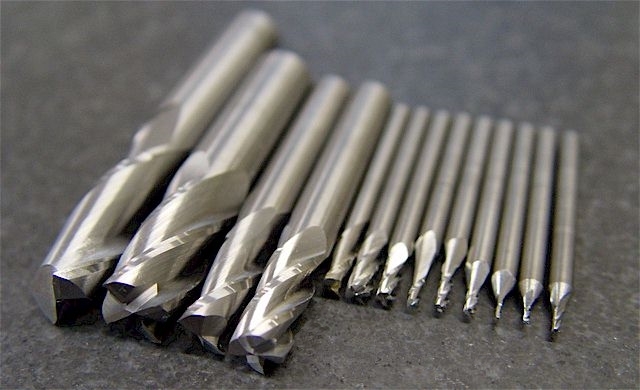 M42-8%Co alloy cutting mildly hardened steel. 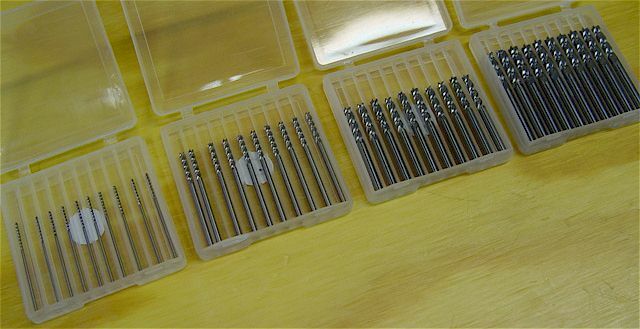 1/8" & 1/4" diameter, center cutting, long (4) flute, Titanium Aluminum Nitride (TIALN) coated end mills. 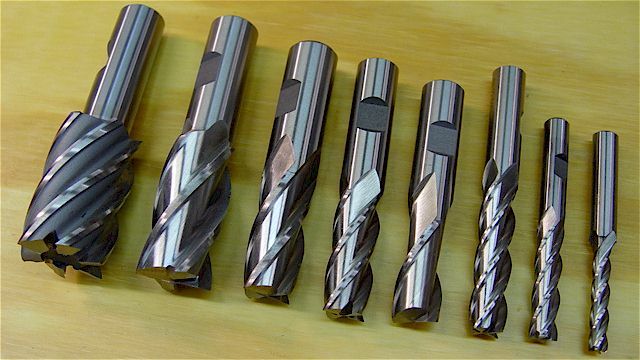 1/4", 5/16", 3/8", 1/2", & 5/8" roughing end mills. Sinusoidal-edge pattern breaks chips. Note: aggressive cuts with this design can overload smaller machines. 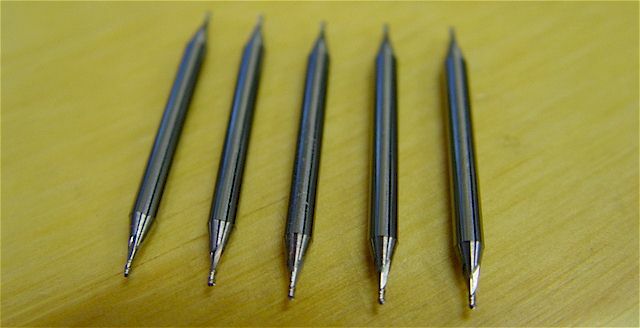 Metric carbide end mills: 1, 2, 3, & 4 mm. 1 & 2 mm end mills. 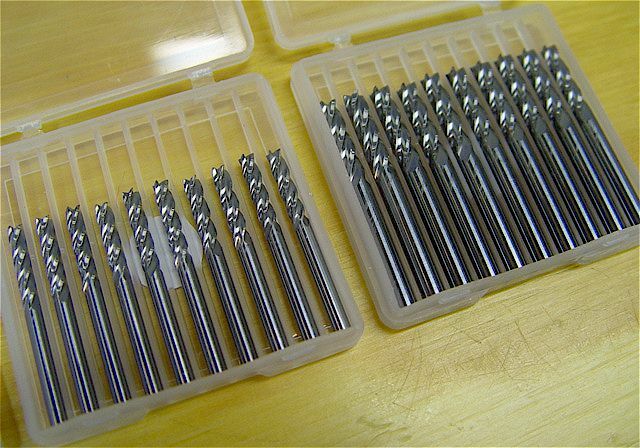 3 & 4 mm end mills. 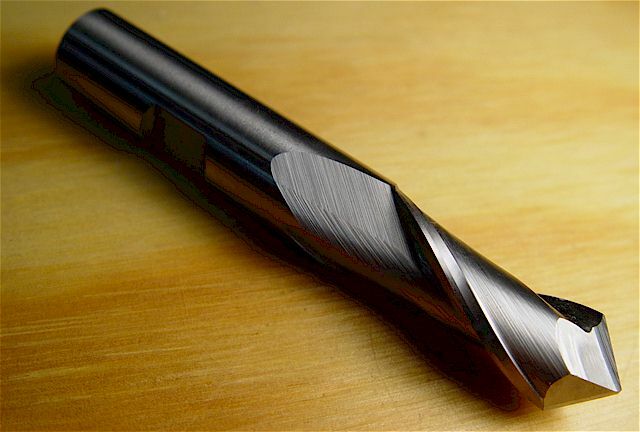 Two-flute ball-nose end mill. There are also 3 & 4 flute types. These cutters like higher speeds. 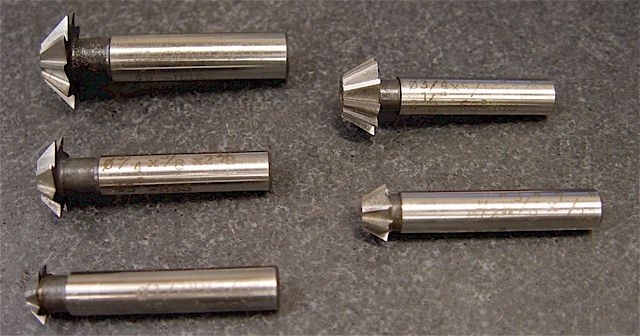 1/32", two-flute ball-nose carbide end mills. Dovetail cutters; 45 deg (top) & 60 deg (bottom). Cut a square groove, first. 45 deg (left) & 60 deg (right) bevel cutters (import). For chamfering part edges. 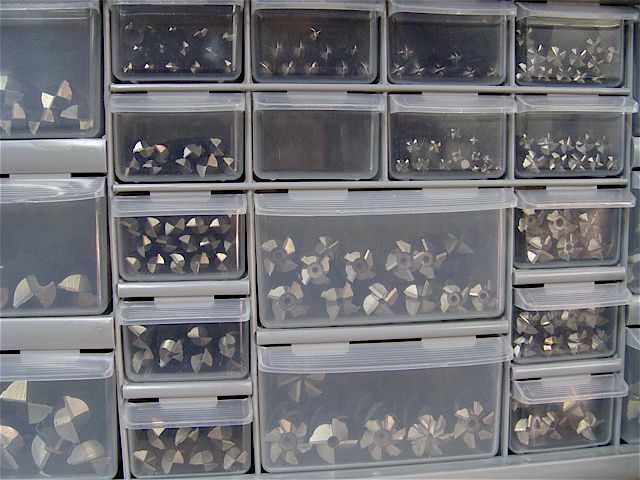 Bin sorting & storage of end mills. 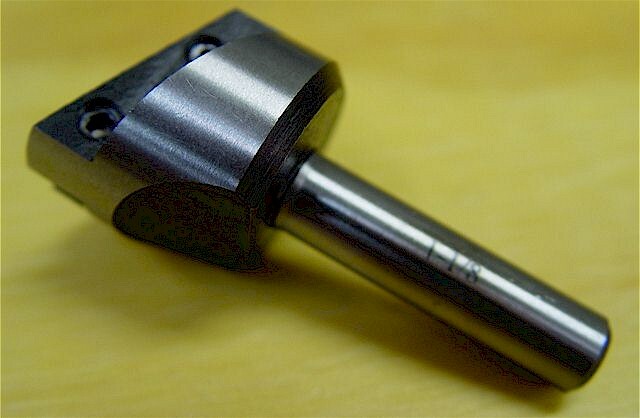 One-inch "Little Hogger" negative-rake end mill with a 3/4" shank that uses two, TNMG inserts. TNMG inserts have six usable tips, each. 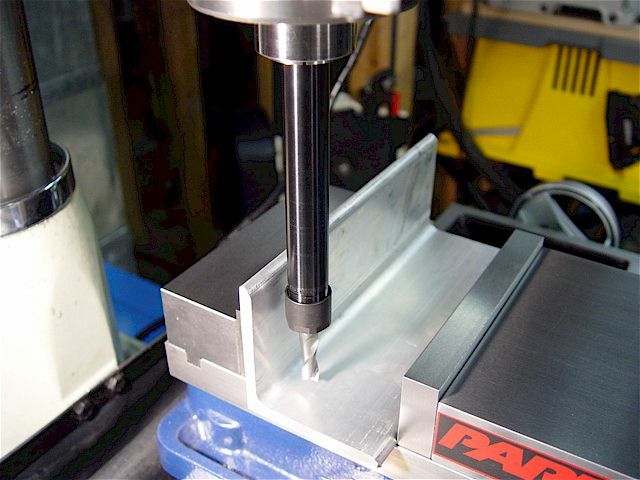 This end mill requires relatively high RPM. 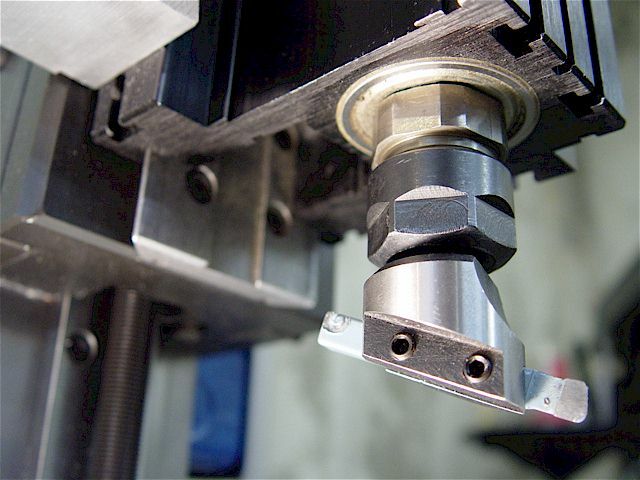 1/2" cobalt end mill with 45 deg point. Handy for chamfering edges. 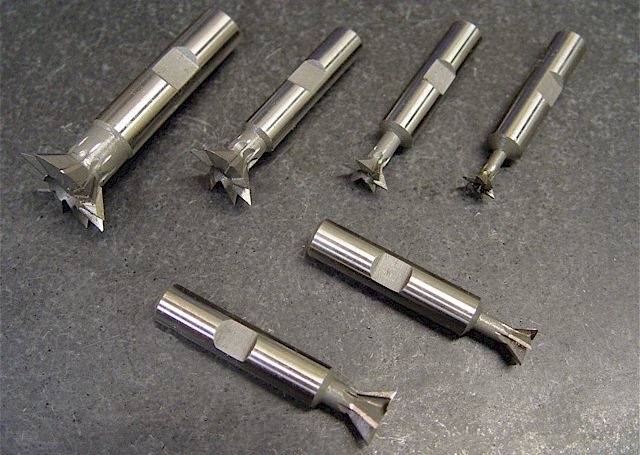 Radius cutter set. 1/16", 3/32", 1/8", 5/32", 3/16", 1/4", 5/16", & 3/8" radii. 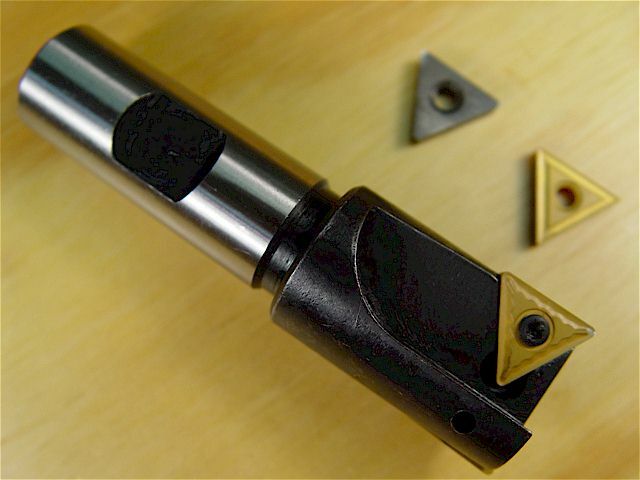 1/8", 30 deg carbide engraver bit. was then relieved even more using a fine diamond file. 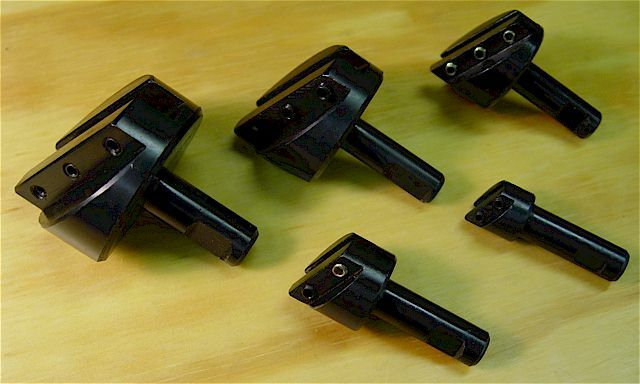 See the high-speed motor pulley modification. 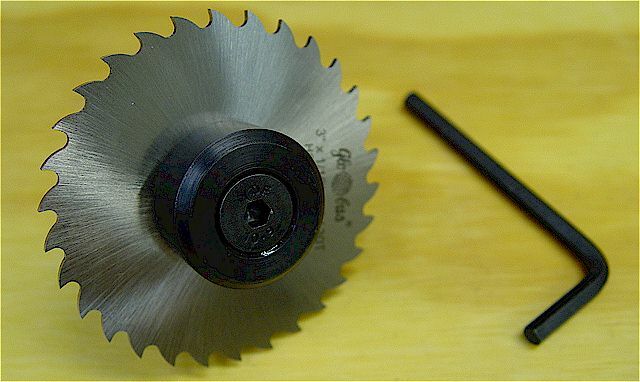 A 45 deg, left-hand cutter & 3" saw blades with 1" hole having different thicknesses of 1/16", 1/32", & 1/64". 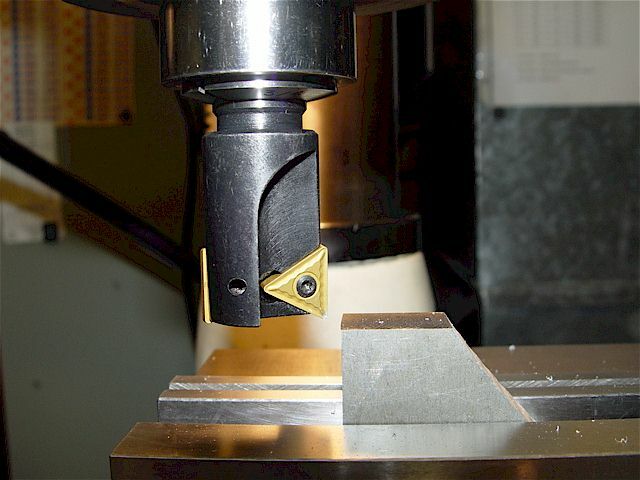 Slit-cutting soft steel. 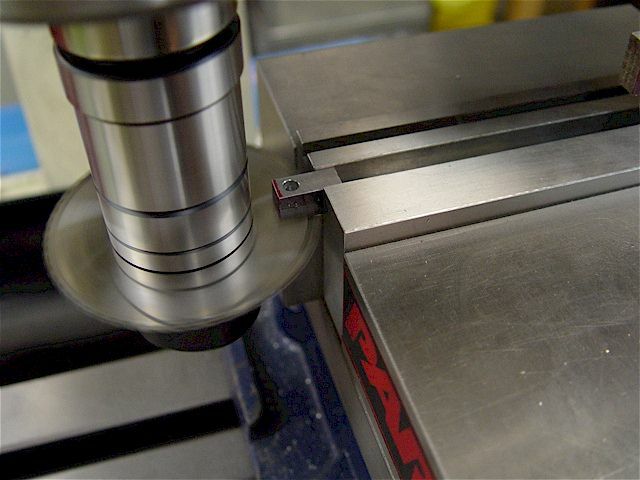 The right side of the vise has a spacer piece of equal thickness to assure even clamping. 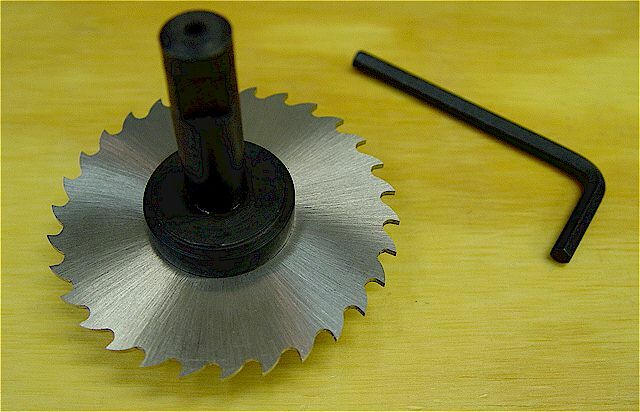 This is a one-inch R8 arbor. Precision ground 7/8" x 1" arbor with a 3/4" straight shank. 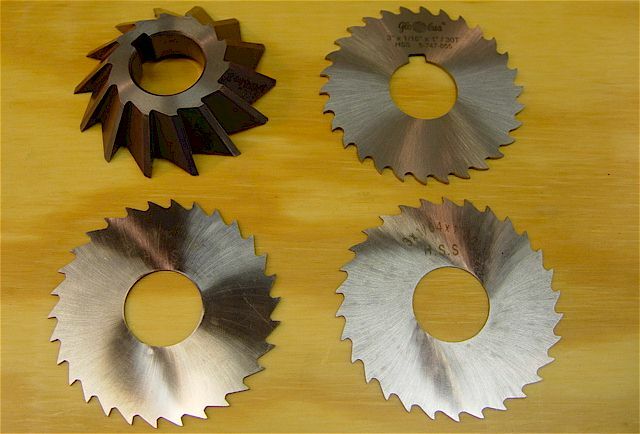 Spring-loaded rings spacers for different saw hole sizes: 1/2", 5/8", 3/4", 7/8", & 1" (India). Below average quality. 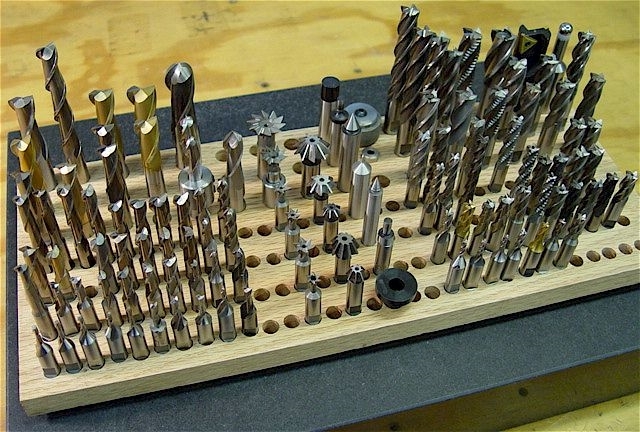 tooling & end mills. 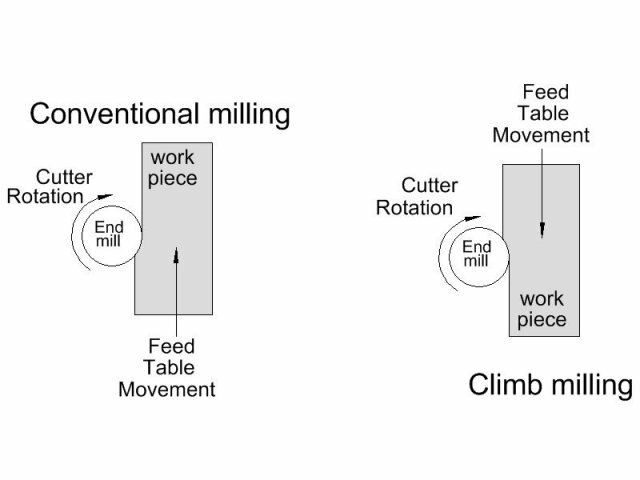 Additionally, the long extension can get into much tighter places than the mill spindle. a standard type making it easier to use in tight areas. 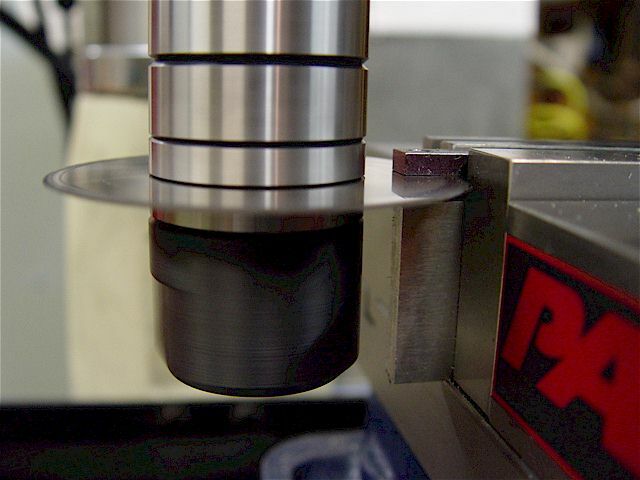 The collet is snapped into the nut before tightening. These extensions are made by Craftsman Industries in NV. There is a left-hand threaded (stop) set screw inside the extension's body. 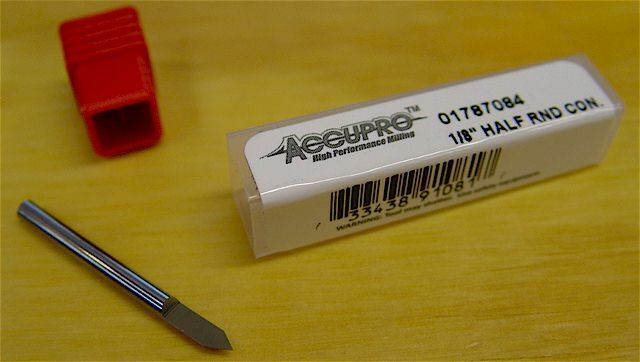 Using an 1/8" hex wrench, the screw is set against the end mill to keep it from moving. CAUTION: Do not over tighten lock nut, always use internal backup screw. Do not tighten lock nut on an empty collet. 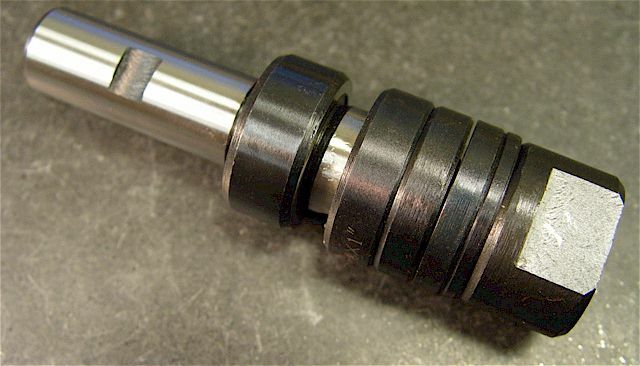 Stubby extension stays close to the work & can use 10 different ER-16 collet sizes with a 0.0197" ~ 0.3937"
(0.5 ~ 10mm) continuous clamping range. 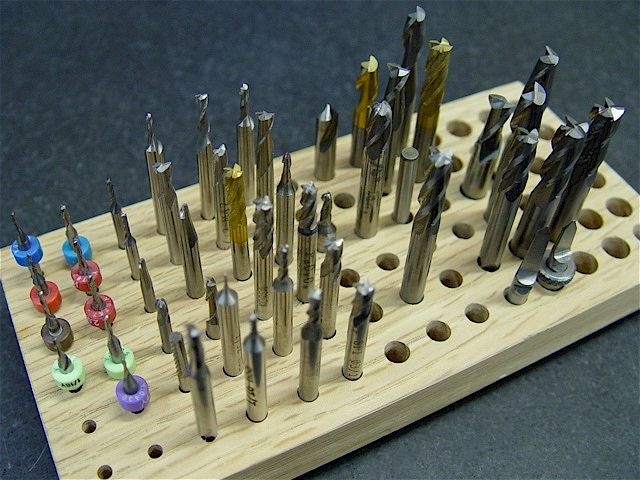 This is especially helpful when using combinations of drills & end mills. The long extension helps machine hard to access areas. Fly cutter (Sierra American Brand, USA) with 3/4" straight shank & 3/8" USA Carboloy grade, left-hand tool bit. This combination has superior cutting performance when compared to many imports. It is balanced, precise, & rigid plus the set screws are hardened & don't strip. Fly cutter set with straight shanks (import). 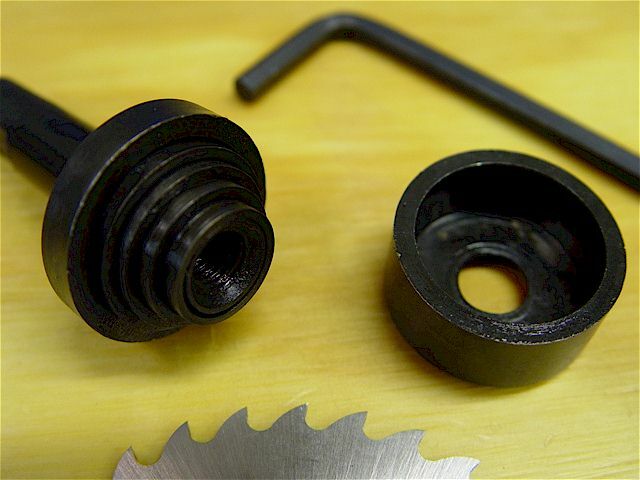 Substituting with quality set screws helps performance. 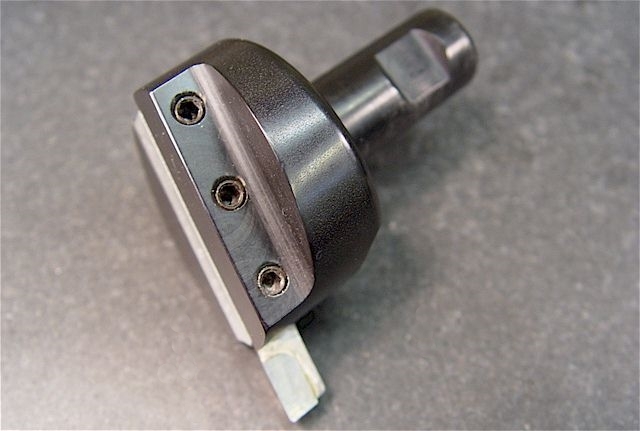 This fly cutter has a 3/8" straight shaft which can be used in the Taig upgraded ER-16 mill spindle.